NIA CHARLESTOWN NEVIS (December 03, 2018) — Hon. Mark Brantley, Premier of Nevis and Minister of Finance in the Nevis Island Administration (NIA), will table the Draft Estimates 2019, and will also seek to introduce and have read a first and second time, the Nevis Appropriation (2019) Ordinance, 2018, when the Nevis Island Assembly sits in chambers at Hamilton House from 10 a.m. on Wednesday, December 05, 2018. The announcement came from the Order Paper circulated by Ms. Myra Williams, Clerk of the Assembly. The sitting is expected to be the final one for 2018. 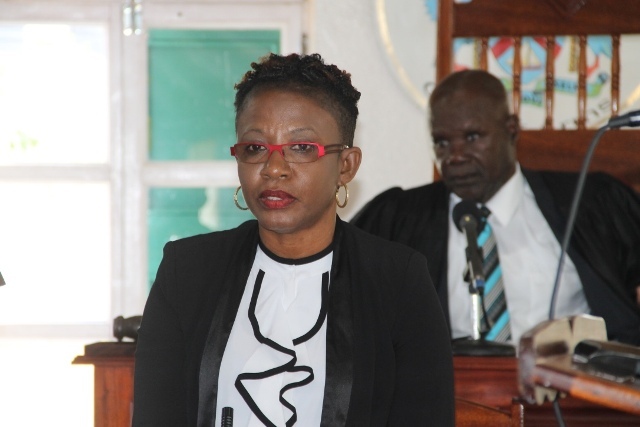 The Bill will seek to appropriate a sum of money for use of the Public Service of the island of Nevis for the financial year commencing on January 01, 2019 and ends on December 31, 2019. According to the Order Paper, when the sitting commences, there will be the formal entry by Hon. Farrel Smithen, President of the Assembly, followed by prayers. A Motion for the approval of the Order Paper as circulated; Messages from Her Hon. Hyleta Liburd, Deputy Governor-General for Nevis; and announcements by the president will be made before the Draft Estimates 2019 is tabled. Following will be Statements by Ministers, and Personal Explanations then will come the Introduction of the Bill and its first reading. The second reading of the Bill will follow during the Public Business section. Resolutions comes next followed by the adjournment which will bring the sitting to a formal close.